Our New York City guided sightseeing tour of downtown Manhattan takes you through the heart and soul of New York City – home to Wall Street, Ground Zero, City Hall and countless other world-famous sites. 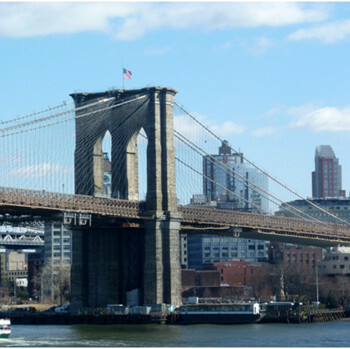 Located on the Southern tip of Manhattan Island, Downtown Manhattan – also known as the Financial District – is a compact area of wall-to-wall landmarks that stimulate the senses and allow the traveler to be a part of living, breathing history. Tourists are drawn to this area because it is the home of Wall Street, the iconic Charging Bull, the former World Trade Center site of ‘Ground Zero’, areas such as Battery Park and the South Street Seaport that offer breathtaking views of the Statue of Liberty, St. Paul’s historic chapel, the 1883 Brooklyn Bridge which is still in use today for auto traffic, and the Downtown Manhattan skyline. 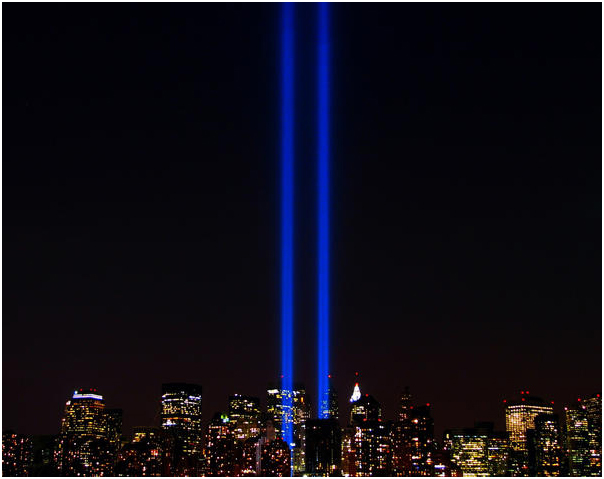 This tour will cover the New York of old and new, from the exact point where the last British troops retreated during the Revolutionary War, to the areas affected by the events of September 11th, the 2008 financial crisis and Hurricane Sandy. This world-renown locale is constantly changing, evolving and making international headlines. After you complete this tour, this area and its history will become a part of your own story. People tell us all the time that our tours make travel easier and much more interesting. So download this tour to your mobile device and walk along with us through the incomparable Downtown Manhattan, New York City. The Financial District's streets are quite narrow, reflecting the original architecture of the colonial period. As a result, most streets are one-way, crowded and difficult to drive through. The best way to navigate the area is on foot, though taxis can easily be found on the main thoroughfares such as Broadway, Water Street and Church Street. Should you choose to drive, street parking is limited but there are an abundance of parking lots in the area. Rates generally range from $8.00 per half hour to $50.00 for overnight parking. The Financial District is accessible on foot from Midtown Manhattan via Broadway, and the 1, 2, 3, 4, 5, 9, A, C, E, J, M, N, R and Z trains also stop throughout the area. From New Jersey, the PATH train stops at the World Trade Center, and from Staten Island, the Staten Island Ferry stops at the southernmost tip of Manhattan, South Ferry, which is adjacent to Battery Park. Many local restaurants that cater to the working crowd in the Financial District are closed on weekends. Restaurants on Broadway, Fulton Street and the South Street Seaport, however, are open and operating on weekends with an abundance of food options at a wide range of prices. 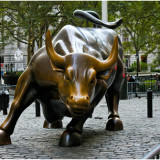 The Financial District is a busy and robust area Monday through Friday. 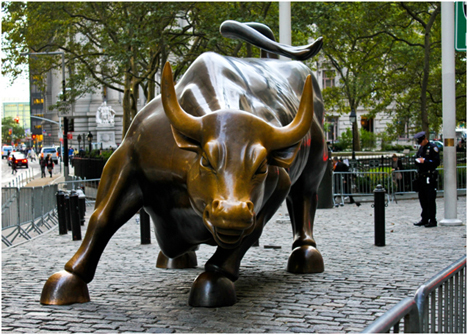 This is the best time to visit if you want to experience the authentic hustle and bustle of life on Wall Street. For a more serene experience, weekends and holidays are considerably less crowded, with the primary visitors consisting of fellow tourists. How do you visit New York and take time to enjoy everything? By getting this guide and easily plan your time and what you want to see. This amazing tour guide allow you to do that without being press on time, or have to rush because of the tour guided bus which is running on schedule. 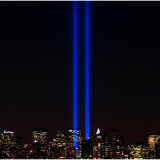 I have been able to take my time trough ground zero, wall street and other memorable places. I definitely recommend this guide to everyone like me who enjoys architectural views, memorable places and is not ready to see everything in one bus tour guide. A very readable and enjoyable self guided tour. I can manage how much I do and how long I stay in an area and when I want to take a break. The idea of being confined to a bus as it tries to navigate its way through lower Manhattan was very unattractive to me and this guide is an enjoyable and very doable alternative. I look forward to future ones in other areas of the City. Really enjoyed this tour which was informative, well organized and covered the main points of interest like Ground Zero. The pace was good and well thought out. Highly recommend it! 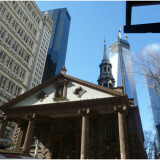 This tour was a great way to see Ground Zero and Wall Street. The self-guided aspect allowed me to get the best parts of the area on my own time. The commentary was historically interesting and I also enjoyed the humor in the tour! This book piqued my interest in visiting lower Manhattan. It was such a fantastic guide! This is hands-down, the best Downtown NY Tour Book. Very in-depth and interesting places to visit. See for yourself! Even though I am a native New Yorker, I thoroughly enjoyed visiting and learning more about the history of the FiDi landmarks. Mr. Woliner’s interest in the area comes through in his engaging style of writing. Being able to complete the tour at my own pace made it even more enjoyable. As an avid walker and surveyor of lower Manhattan, I find myself sharing the same points of view as Mr. Woliner, regarding the sights and stops along this virtual tour (chotchkies and all). 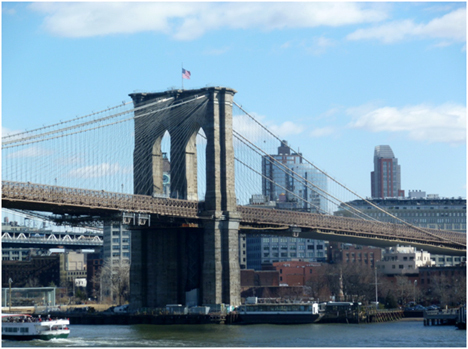 A pleasant commodity for both the tourist and New York City local, “Exploring Downtown New York” provides an engaging trip fit for anybody who’s up for a great day. Bravo! 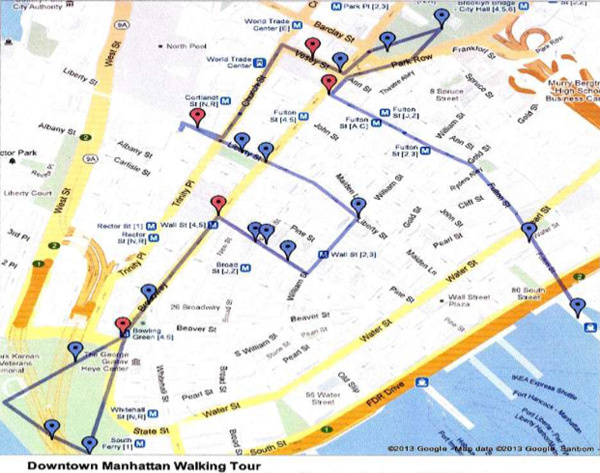 Geoff Woliner’s guided tour through the most historic and oldest section of Manhattan is well written and concise. The tour doesn’t make waste of one’s time as each location on the tour is of great historical significance! Time with this original and informative self guided tour is time well spent. 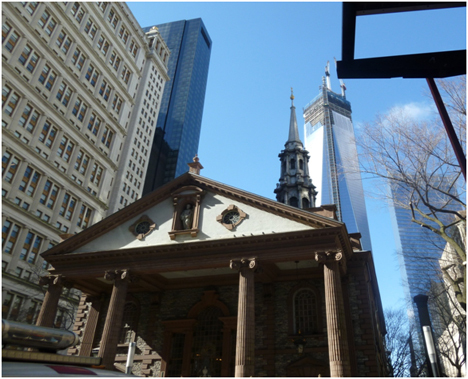 This is a very engaging and entertaining self-guided downloadable tour of Lower Manhattan. I learned a lot about Wall Street, Ground Zero and a ton of other landmarks. I was in NYC for a training gig so didn’t have time for a full blown tour. It was a great way to wander around at my own pace, because I like to stop when I want to, and because I had to fit the tour into my own schedule, which you don’t get the opportunity to do if you’re on a guided tour. SKU: GW040215. Categories: New York, United States. Tags: City/Town, Geoff Woliner, Historical/Heritage, New York, United States.